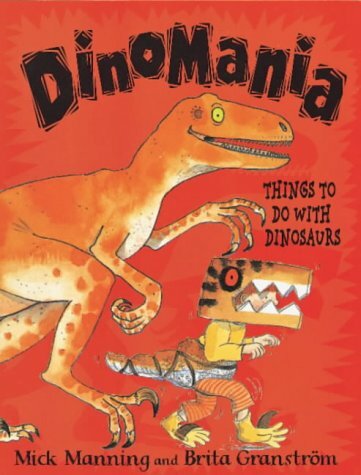 This lively, activity based book will appeal to young dinosaur enthusiasts of up to about eight years. Prehistoric animals make a strong appeal to the imagination and this is why there are so many dinosaur books on the market. This one has an energy about it - Manning and Granstr$om know exactly how to present information through written text and illustration in a way that will interest and inspire young readers. The activities encourage children to reflect on and apply the information they have acquired. They include making a time chart, constructing habitats for different kinds of dinosaur, creating costumes for dinosaur dramas and, finally, producing a dinosaur video bringing all the knowledge and previous activities together. The book demonstrates a number of different kinds of writing which could be exploited in the literacy hour. There are good examples of procedural writing as each activity has a list of resources needed and numbered instructions. Children often find writing much more worthwhile if it is embedded in enjoyable practical activity. As well as making an exciting array of models and costumes, there are suggestions for writing playscripts and stories for radio. Some adult mediation is likely to be needed. Whether in a home or a school setting, help will be needed in assembling the resources and materials. Teachers would find the book a good starting point for work on dinosaurs spanning the curriculum and linking writing, science, technology and drama.